A nest few predators would dare disturb! 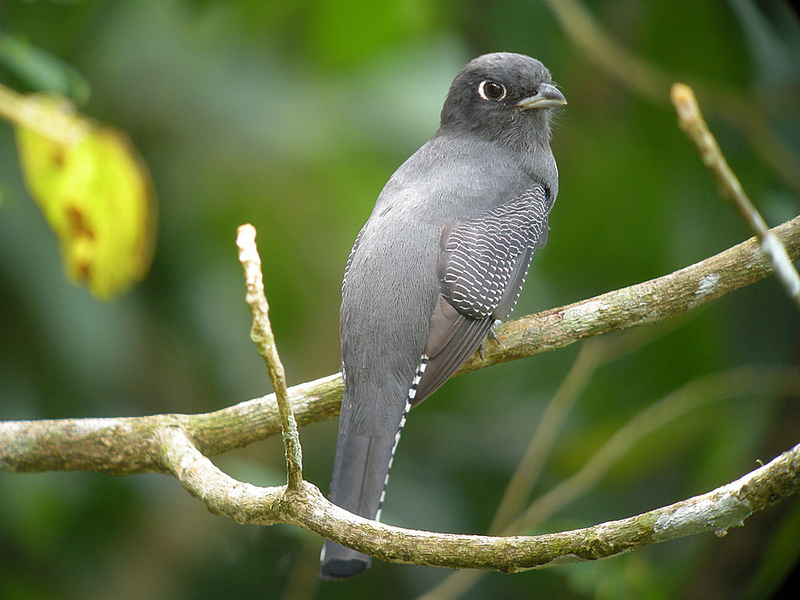 The "Violaceous" Trogon (recently split into three species), which nests in Mexico, Central America, and northern South America, often excavates its dwelling within a large, active wasp or termite nest. It begins by devouring some of the insects, then digs a cavity large enough to accommodate the birds and their eggs. 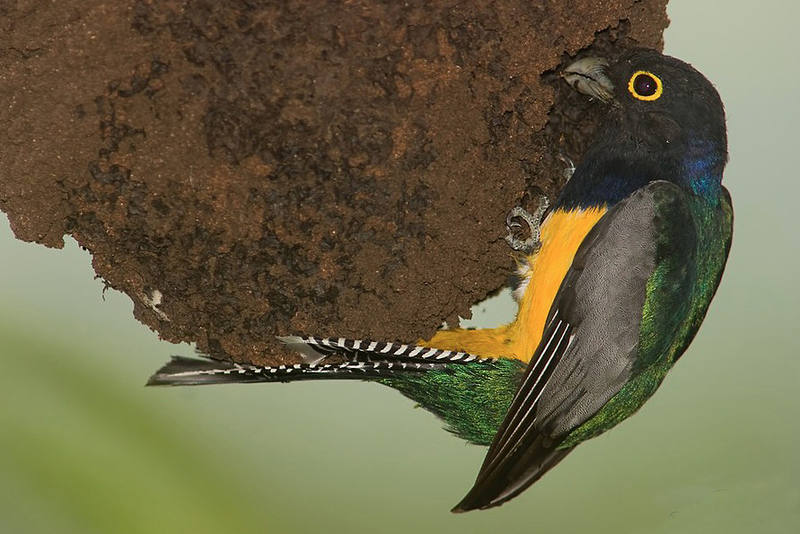 While they may continue to snack on resident wasps or termites throughout nesting, the trogons never eliminate all the insects, creating a nest that few predators would dare disturb. Like to make a gift to BirdNote? Begin here. And thanks! When it comes time to nest, birds require a site that protects them, both from weather and from predators. Nests are perched high in trees, secreted deep in dense branches, or concealed in cavities. Some birds take a further step — nesting where they are defended by stinging insects. 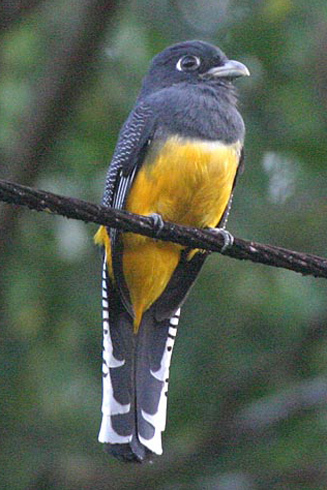 While they may continue to snack on resident wasps throughout nesting, the trogons never eliminate all the wasps. And they create a nest that few predators would dare disturb. Some birds nest in large ant or termite colonies, too. Safety is where you find it. I'm Mary McCann. We'd like to thank all who made a gift during the holidays! Call of the Violaceous Trogon provided by The Macaulay Library of Natural Sounds at the Cornell Lab of Ornithology, Ithaca, New York. Recorded by C.A. Marantz. Will you become a BirdNote benefactor? Begin here!